Gaming desktops are the most sought after PCs by people who love to play fun filled and action packed games on their computer. There are many who are not interested in next generation gaming consoles and love to experience new games that are released in its fullest glory on their PCs. If you are one among them, then you need to choose the best gaming desktops sold, depending on the speed of the processor, their hard disk space, graphics cards and coprocessor as well as the budget and warranty service. The following are the best ten gaming desktops that you can buy under $1000. 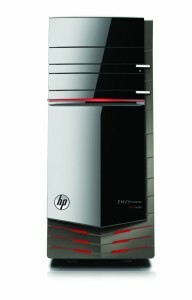 Product Specifications – The HP Envy 810-160 comes with the best fast paced processor, high quality graphics card and of course its unique Beats Audio feature. This gaming desktop is powered by Intel 3.4 GHz Core i7-4770 (8 MB cache, 4 cores) and offers you a RAM memory of 16 GB 1600 MHz DDR3 (2 x 8 GB). So, any fast, action packed games can be played at lightning speed on this gaming desktop. The PC also is offered with 1 TB hard disk drive with 7200 RPM and hence you have loads of storage space to save your favorite PC games, music files and video files. The Beat Audio feature offers you the best and richest sound experience offered in any PC. This desktop has NVIDIA GeForce GT 640 graphics card that is loaded with 4GB DDR3 dedicated memory. 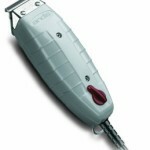 It is offered with up to 122260MB of available graphics memory which is allotted by Windows 8 OS. Other features include: SuperMulti DVD burner optical drive, Wireless LAN 802.11a/b/g/n/ac, multi-display capability and Bluetooth connectivity. Applications –The HP Envy 810 610 is any gamer’s dream PC as it allows you to play fast paced and powerful graphics game at great speeds. This computer works tirelessly for hours together to offer you gaming entertainment like never before. To add to its lightning processor is the high quality graphics display and the best sounds that will put you exactly in the center of every action. 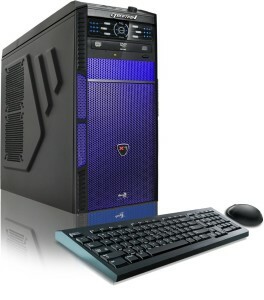 Product Specifications – If you want stunning looking and fast paced PC that offers you the option to play all your high graphics loaded PC games, then CybertronPC Hellion GM1213B gaming desktop is a safe bet. The desktop comes with 3.5 GHz AMD FX-6300 Six-Core Processor with maximum turbo speed of 3.9GHz and offers 16 GB RAM memory for unique and seamless gaming experience. It gives you the option to play any of the latest high end games through the NVIDIA GeForce GT 640 (2GB) Graphics card. This PC comes in a beautiful blue and black chassis that makes it a eye4 catcher on any table. The desktop offers you a 1 TB hard disk drive storage space to load all your favorite games and movies. The system works silently and without much heating thanks to the Aerocool front fan control touch panel. Other features include: dual-layer DVD±RW drive, 7.1 channel audio, pre installed windows 8.1 OS and one year parts and labor warranty. 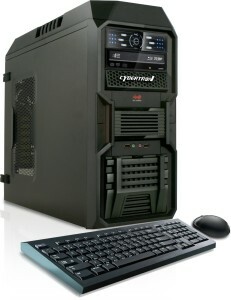 Applications –The CybertronPC Hellion GM 1213B is the best PC for fast paced action and adventure games. It is also very good PC for playing sports games and offers high quality graphics and great sound to feel as if you are part of the game. Product Specifications – The best looking, fast paced and quality high end graphics display desktop PC you can buy to suit your gaming needs is Acer Predator AG3-605-UR1D Desktop. 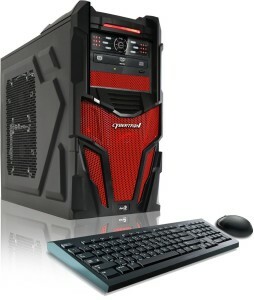 This PC comes with 3.4 GHz Intel core i-7 4770 quick and efficient processor suited for most games. The system has a whopping RAM memory of 12GB DDR3 and the game speed is supported by high-quality, NVIDIA GeForce GTX 760 graphics card and coprocessor that is offered with 1.5GB of discrete video memory. Acer Predator AG3 comes with 2 TB hard disk drives, which is ample to store tons of games and music files. Other key features include: High-Definition 5.1-channel audio support, 8 X DVD-SuperMulti double-layer drive, 4 USB 3.0 and 4 USB 2.0 ports, Bluetooth connectivity and 802.11a/b/g/n Wireless LAN. Applications – This PC offers you the best full HD action to take full advantage of every game that you play. With visually stunning graphics, cinematic visuals, high speed performance with turbo boost technology processor and ultra fast frame rates with 12 GB RAM, you sure have a winner in your hands in Acer Predator AG3-605 UR1D. Product specifications – This gaming desktop is offered with AMD FX 6300 3.50GHz 6-Core processor that guarantees you lightning speed while playing games. To support the processor, the desktop features 16 GB DDR3 Ram and give the gamers loads of storage space with 1 TB hard disk drive. 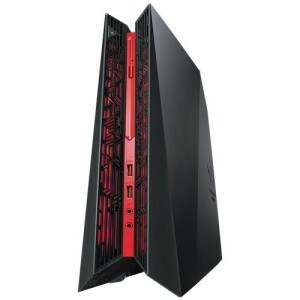 The desktop features NVIDIA GeForce GTX650 graphics processor with 1GB Video Card to offer high quality graphics. The other features of this desktop are: 7.1 channel audio, 24X DVD±RW dual-layer drive, 4 USB 3.0 and 2.0 ports, fan control panel and Windows 8, 64 bit genuine OS. Applications –This gaming system is a very good choice for gamers who love to always love to beat their opponents’ hands down as it delivers overwhelming performance. It can store tons of games, music as well as all the digital bits of your life. The front LED fan control panel will keep the desktop cool and quiet and enhance game play. 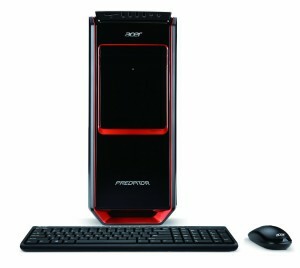 Product Specifications –If you love to enjoy extreme gaming, then Acer Predator AG3-605-UR1C desktop is a good option. The PC comes with 4th generation Intel Core i5-4440 processor 3.1GHz with turbo boost technology up to 3.3GHz for fast paced games and is ably supported with 8GB DDR3 Memory RAM. You get the best quality high end graphics display thanks to NVIDIA GeForce GTX745 graphics with 4GB of discrete video memory. The PC is packed with 1 TB 7200 RPM SATA3 hard disk drive to store lots of games, movies and music. Other salient features include: 4 USB 3.0 and 2.0 ports each, 5.1 channel high definition audio support, 8 x DVD SuperMulti dual layer optical drive, Bluetooth 4.0, 802.11a/b/g/n Wireless and genuine Windows 8 pre-installed. Applications –If you love to play extreme games and beat all your opponents’ hands down, then Acer Predator AG3-605-UR1C is a good option. This Acer Predator offers great performing processor that makes all hard graphic games load quickly. It helps in enhancing your game play and powers up all your entertainment. Product Specifications –If the features like fast paced processor, great RAM, huge hard disk storage space and graphics card is what you need in a solid performing gaming desktop, then it is available in CybertronPC Kombat-X Gaming PC. Its features include: AMD FX 6100 3.30GHz 6-Core processor with AMD 970 Chipset, 1 TB HDD, RAM of 16GB DDR3 memory, graphics from 2x AMD Radeon HD6670 1GB Cards in CrossFireX, 7.1 channel audio output, 24x DVD±RW dual-layer drive, LED front panel fan control with six speeds and lifetime warranty. Applications –This gaming desktop is the best you can think of if you need affordable, fast performing, high quality graphics and loads of storage space PC. It gives you complete gaming pleasure that you have ever experienced with unparalleled multitasking and great core performance. 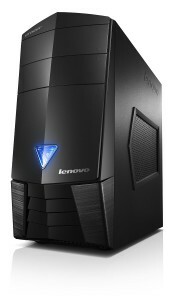 Product Specifications – If you are looking for affordable, yet a great game friendly desktop, then Lenovo X315 Gaming Desktop is a safe bet. The specifications of this desktop are: top quality 3.1 GHz (cache) AMD A8-7600 Processor, AMD ATI Radeon R9 255 2GB Graphics card, RAM of 8 GB DDR3, 1 TB 7200 RPM hard disk drive, Plus 7.1 channel sound and DVD read/write Optical Disk Drive. Applications – The Lenovo Erazer X315 desktop gives you fast paced processor and ample storage and memory to play the best games at lightning speeds and top end multitasking. It helps you to control your gaming sound and offers cutting edge and top quality exterior look and finish. 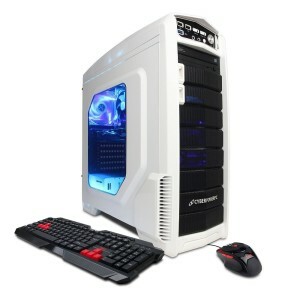 Product Specifications – This attractive looking white and blue PC comes with 3.4GHz AMD A10-7770K Processor with 4MC cache, memory of 8GB SDRAM DDR3, AMD Radeon R7 240 2GB graphics card processor and 1000 GB 7200 RPM hard disk drive. Other features include: 24x DVD±R/±RW optical disk drive and windows 8.1 64 bit OS. Applications – This desktop PC offers you affordable, fast powered and quick gaming through its high end processor and graphics unit. It also offers you decent enough storage space to store your favorite games. Product Specifications – ASUS G20AJ-US023S Desktop offers features like: 3.2GHz Intel Core i5-4460 Processor, 1TB 7200 RPM Hard Disk Drive, 8 GB Solid State Drive, NVIDIA GeForce GTX 750 graphics card, solid 8GB DDR3 RAM, wired gaming keyboard and mouse and GameFirst II game-packet prioritization. Applications –The ASUS ROG G20AJ compact gaming desktop offers you sharp and crystal clear visuals and speed through its great 4th generation Intel core processor and NVIDIA graphics card. The compact 1.25 liter case makes it look stunning with pleasing and precise sounds and smoothest online gaming experience. 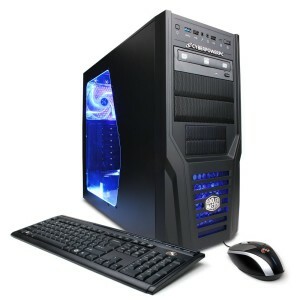 Product Specifications – If it is gaming or all other computing needs that you need to fulfil, then go to CyberpowerPC Gamer Ultra GUA880 Desktop. The salient features of this gaming desktop are: AMD FX-4300 Vishera / 3.8GHz (Max 4.0GHz) processor with AMD 760G motherboard chipset, memory of 8GB DDR3 SDRAM / 16GB (Max), hard disk drive of 1TB – SATA III – 7200 RPM, high performance graphics card NVIDIA GEFORCE GT 610 1GB – PCI Express x 16, high definition 5.1 channel audio and Integrated – 10/100/1000 Ethernet networking. Applications –This gaming desktop offers unmatched and superior gaming power with high end graphics display to play all the latest games. With enough memory space the system will never get bottlenecked even while multitasking.